Property for individuals and families.This property offers direct subsidy for 12 out of 20 units to qualified applicants through USDA Rental Assistance program. You will only pay 30% of your income for rent. Non-subsidized units have a base rent that you will pay. If subsidy is not available at move-in, your rent will not be subsidized. However. once a tenant, if qualified for subsidy, your household will be placed on a wait list for subsidy based on greatest need. We also accept housing authority provided Section 8 vouchers for our non-subsidized units. Nice mulitfamily property located in beautiful Friday Harbor in the San Juan Islands. These properties are privately owned rental housing financed through the USDA Rural Housing Service Rental Assistance program. If the Department of Agriculture provides subsidies directly to the property through a Rental Assistance contract, the property owner applies those subsidies to the rents he/she charges income eligible households. Unlike the Section 8 Housing Choice Voucher program, Rental Assistance (RA) subsidy is not portable or transferrable. It stays with the property. With USDA Rental Assistance subsidy, your rent will be approximately 30 % of your adjusted monthly income as long as you qualify. Often however, Rental Assistance (RA) is not available for every unit at the property. If an applicant is not qualified for Rental Assistance or Rental Assistance is not available at move-in, your rent will be 30% of your income, however the lowest you will pay is the property's Base rent and the highest you will pay is the property's Note rate rent. If you move-in without RA subsidy, but income-qualify for it, you may be placed on a waiting list for RA subsidy at that property depending upon need. Applicants for these properties need to qualify between the USDA Very Low (50%) and the USDA Moderate (80%) adjusted income limits. In general, USDA properties can accept applicants at a higher income level than most HUD programs allow, and give a preference to lower income applicants. Income Limit Details: Very Low to Moderate USDA income limits with preference for lower income limits. Rents above reflect NON-subsidized rent levels. This property offers direct subsidy for 12 out of 20 units to qualified applicants through USDA Rental Assistance program. You will only pay 30% of your income for rent. Note: Subsidy is not usually available at move-in due to the priority to assign it to in-house tenants first. You will be required to pay an income based non-subsidized rent upon moving in. If qualified, once becoming a resident, you may get on a waiting list for subsidy based on need. 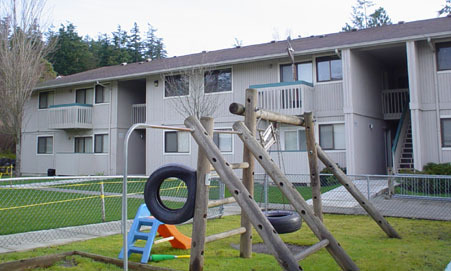 We also accept Housing Authority provided Section 8 Housing Choice vouchers in our non-subsidized units. Please call the property for details.